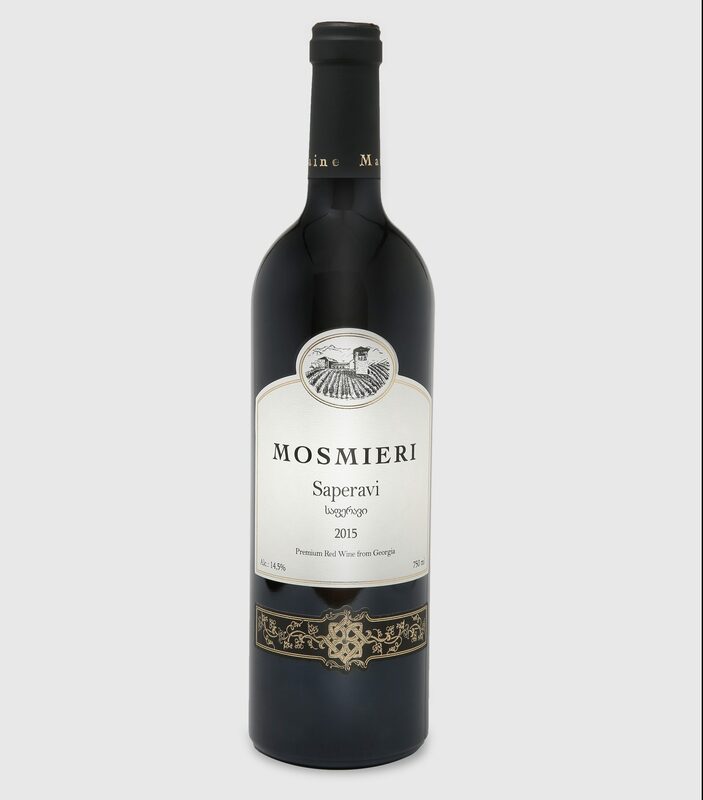 Mosmieri SAPERAVI is a dry red wine made from autochthonous Saperavi grapes. The grapes are harvested and selected by hand. After crushing the must is fermented in highquality stainless steel tanks. This is a full-bodied and rich wine with an extraordinary purple color. Despite its young age this 2015 vintage wine made from the Saperavi grape variety has an unusually mature, balanced and harmonious bouquet with pleasant tannins, a light acidity and slight hints of cherries, plums and black pepper Our Saperavi best accompanies red meat and cheese.